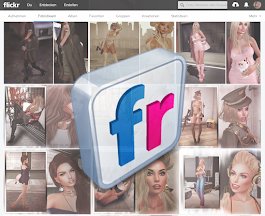 Second Life - LOOK GREAT -: Whoa so sweety you are! Whoa so sweety you are! Outfit Elayna: Top & Skirt by SPIRIT @ Store - NEW! Tights Black Parisienne by .::Nanika::. Tattoo Stella by .::Nanika::. @ On9 - NEW!